challenge #2 with mary and lisamarie . . .
time for our next challenge. this time mary and i invited lisamarie to play along with us. lisamarie had emailed us both a while ago asking about getting involved with a regular challenge thing. and this was right about the time that mary and i were thinking about making this a regular thing between us. it was so fun to hear from someone that was excited about the challenge idea too. 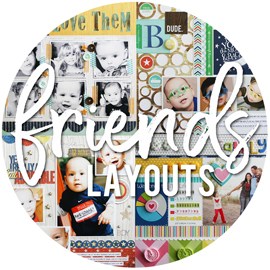 first up is lisamarie's layout ... which you can see HERE. next up, we have mary's layout ... which you can read more about HERE. a little different from my normal scrapping. this layout was not planned at all. i was actually looking for purple pattern paper ... when i came across these ki memories tags. they come all on a sheet ... arranged just like you see them here ... in the same order. and i realized that there were 13 of them on the sheet ... perfect for our "13" part of the challenge. i just punched them all out and adhered them in the same pattern on a piece of cardstock. i stapled some vellum on either side of the layout. and for my title letters ... i was just looking for some while letters and came across these. how i choose "my day" for my title ... i have no idea. then when it came time to journal ... the title dictated what i was going to journal about. i found some rubons that sort of fit the theme ... and worked those on some of the tags. that "create" sticker is bugging the heck out of me ... but it's stuck on there, so it was to stay. lol! and not a great hand writing day for me ... but it works i guess. we hope some of you will join in this challenge .. and then share what you created. for the last challenge, we had a couple of you share ... carla and carine. i though there were more of you. lol! if you did play along, be sure and leave us a comment and link us over ... we'd love to see! some blog book Q&A . . .
thanks for all the comments on the books ... glad everyone liked them. i got a lot of questions about the blog books. and i'm always great about answering ... but usually just to the person that asked the question. guess that doesn't help everyone else that might be wondering. lol! so i thought i'd answer a few things here ... as best as i can. do you just create an account and then it just pulls all the info from your blog? yes, you create an account at blurb .. and then you download their program "booksmart" to your computer. so this isn't actually created online ... just in the seperate program. then you go to create a new book ... picking your size. then you can choose the option "blog to book" ... and then choose what blog service you use and sign in from there. it will pull up everything you have ever posted to your blog ... and you just go in and select what posts you want to include in your book. i did a year at a time ... so i clicked on all the posts from that year. it will then start "slurping" up your blog ... and will pull everything ... text, photos, etc. what about layouts and things that you've replaced with a "just for pub" sign? and are you allowed to add extra photos? it will pull whatever you have in your blog RIGHT NOW. so if you have an "out for publication" sign ... it will pull up that. you will have to go in and replace it with your layout. it's easy to do. you can also add extra photos in. you just pull them off your computer or your external hard drive ... and it will add them all to the side bar ... and you can add them in where ever you want. this is also nice if you had a post that linked your readers to another site for pics ... or if you had them linked to a photo album to more pics. you can just add a page to the book where you need it ... and then add your additional photos in. i always size my photos down for screen - will that matter? this DOES matter ... unfortunately. lol! when i first started my book ... i choose a larger sized book. and all of my photos were coming up with low-quality warnings. all my photos on my blog are resized. and i do have all my original, full-sized versions of my photos ... but they'd be a pain to switch over. i DO NOT have all the original, full-sized photos of my layouts and projects ... so i can't switch those even if i wanted. that is the reason i ended up doing the 7x7 book ... because all my re-sized photos were fine in that size. and if you're trying to have a photo too big in your book (like say you want to have just one big photo on a certain page) ... it will tell you if it's not going to work. and you have the option of switching to the full-sized photo ... or just making it smaller on the page. 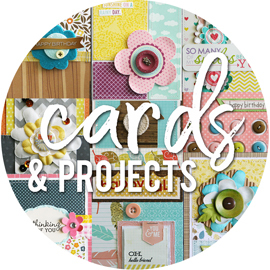 do you include your layouts and cards in them or just photographs? i include everything that is on my blog. every single post. but you could certainly be choosy .. and only put the stuff that's important to you. so mine is a definate mix of photos, layouts, projects ... and then all my posts without any photos ... just text. a few of my thoughts on the basic page designs. it automatically sets your pages up so that every post is seperate ... and all the pages automatically show 4 spots for photos. so that is where the time-consuming part comes in. i go through page by page ... re-doing the page design to allow for how many photos i had. and if didn't have photos ... you can change it to text only. and another thing is to keep in mind that occasionally a post will go just a few sentences to a new page ... and then you'll have all that blank space . so i have no problem going in and deleting a few sentences ... if it means fitting it onto the page. lol! a few of my thoughts on making progress with your book. the program will save what you have done every time you close out the program. so you can do a few pages at a time ... a little here and there. it'll pick up right where you left off when you start it up the next time. it's a little bit of a learning curve. but once you get it down ... it's fairly simple. i only used a few basic page layouts ... so i knew exactly what design to use if i had 1 photo, 2 photos, or 4 photos. made it easier when dealing with an entire years worth. lol! and i know you told me, but humor me would you and tell me how expensive they are? they're not super cheap. but in the end ... i decided they were worth it. paperback is a bit cheaper ... but i wanted the hardcover just because i think they'll hold up better over the years. my 90-page book was $32.00 ... my 202-page book, it was $50.00 ... and my 286-page book was $60.00. and my suggestion for starting out and giving it a try. start small just to play around with it. 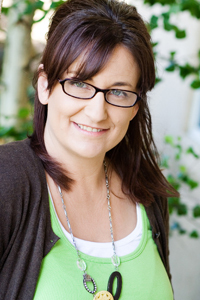 "slurp" up a month of your blog posts ... and then just experiment and get the hang of it. you can add all the rest in later at any time. but it's not so overwhelming to open up a 20 page book ... than it is to open up a 300 page book. lol! hope that answers some questions for everyone. if there is something else you want to know ... just leave a comment. and i'll answer within the comment section. i'll be back either friday or saturday with some info on how i'm doing my "journal your christmas" album this year ... and what products i'm using. i'm really looking forward to it ... and am really simplifying the process this time around. have a great thanksgiving tomorrow!!! my photo/blog books . . .
just thought i'd share a little about my photo books and blog books today. it's almost the end of the year ... and will be time to put together my 2008 books. my plan was to work on these throughout the year ... but that didn't happen. lol! i love having these books stacked up on my shelves ... right along with all my scrapbook albums. i think years from now ... when you put all these albums and books together side by side ... they'll tell quite the story of our lives. i love to scrapbook ... and have been doing it for 13 years now. but there is just no way that i can scrap all our photos ... or all our stories. 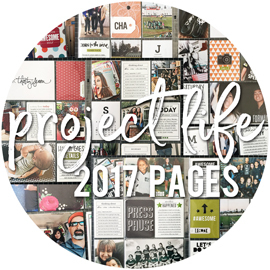 so i have really loved the idea of doing some of these digital photo books. and i've been blogging now for 3 1/2 years ... so that is a lot of thoughts and typing involved ... and i think having that in print is an awesome idea. so i have the daycare books that i printed through shutterfly ... and they're each a 20 page, 12x12 book. i really want to do this sort of book for our family photos too ... just a little more thinking for that. the daycare ones were easy ... because i narrowed the photos down by each child. but i think the family photos, holidays, and events will take a little more planning. the blog books i had done through blurb ... and they are the 7x7 size. these are my "daycare favorites" photos books. i put together the first one mainly because i had won a free 12x12 photo book from shutterfly. you can see more of the book in this post. i mention this in the original post. but i just love how this book sums up our year in photos. there are a ton of everyday, random photos in these. and many of them are already scrapped on a layout. but having them all together in one spot ... it's just so cool. i have since gone back and done 2006 also. that's really as far as i could go back ... since that was when i made the final switch to digital. i kept these books super simple ... same basic page design through both books ... and i'll use that design again this year. so it's really simple to pick out my favorite photos from throughout the year ... and just plop them all into the book. this also helped cut back on my photo ordering this year. i knew i would be doing this album ... so i never ordered that many pictures of the daycare kids for myself. if i wanted to scrap some ... i would print them myself. i can't remember how i first heard about making these blog books. but i will tell you that the first one i did took me forever! it was the 2007 book ... and you can see more of it in this post. my 2005 book is the smallest ... at just 90 pages. i don't even have any pictures on the cover of the book ... since i had only been digital for about 2 months and had NO pictures to use. and i had only been blogging for about 6 months ... and was very sporatic about it then. my 2006 book is 202 pages ... a lot more photos and a lot more blogging. my 2007 book is 286 pages ... and even more photos and even more blogging. i recently started "slurping" up my 2008 blog posts ... and this years book is going to be even bigger. so just a little insight to my books ... and why i have them done. i have other books i really want to make ... just a matter of sitting down and working them out. soccer is a big one ... would love to narrow down the soccer pics and get those in a book. someday! peace, love, and crazy clothes . . .
i managed to finish this layout. nothing over the top ... and no re-inventing the wheel. just your basic, regular old layout. kind of crazy how simple it is. and i didn't really have a lot to journal ... so i kept it short and to the point. almost too much so. i feel like i should have added more ... since there was room on that tag. but it's done ... and it's in the book! i actually picked these papers by a happy accident. i was browsing through smilebox the other day ... remembering some of the books that i designed for the site. and i was looking through all of the making memories books ... guessing what designer made each one. i came across one using the "cheeky" collection. when you go into smilebox, the program will automatically pull in some of your recent photos off your computer. and these photos of haley came up and plopped themselves into the book. i actually thought they went pretty nicely ... so i pulled out the same papers from my stash and put them aside to use. solved all the guesswork that i would have done finding papers. lol! and i came across this "love" title at the store the other day ... and thought they were cute with all the glitter. it was sitting out ... and sort of matched the papers ... so onto the layout it went. i know, i have such an interesting process sometimes. lol! and there were 2 of them in the pack ... so the other one is going on a card ... to come later. i've been a bad blogger this past week. i could make excuses. i've been busy ... so many different things going on that i've just been side-tracked in my thinking. the girls had half-days at school last week ... and are off all this next week ... so it's been noiser around here. i have done a ton of write-ups for a ton of projects this past week ... so i'm kind of typed-out ... i dread typing sometimes. and i don't have any new layouts or anything that i can share right now ... and i hate posting without a picture of some sort. but they're all just excuses. honestly, i just havn't been in a blogging mood. hopefully, will get back to that this week. so for now ... some random thoughts. the girls had their first indoor soccer game today. alyssa's team decided to sign up for the indoor leaque too ... and we managed to get sarah on the team with them. definately a different game to watch. very fast paced ... players coming on and off the field constantly ... learning to play off the walls ... and all set to music, which i think makes it more exciting. i think the season is just 8 weeks or so ... one game every sunday. nice and casual. we had conferences for the girls last week. sarah did great ... she made honor roll. this is her first year getting "real" grades ... and she seems to be adjusting quite well. she does need to re-focus on making sure her homework is done on time ... been late on it a few times. but she's doing excellent with a 3.84 GPA ... and is also getting an award for good character, being that she's one of the most behaved and responsible kids in the class. for alyssa ... conferences were a little different this year. i guess for jr high ... you just go and wait until your teacher is free ... no scheduled conferences. so after a half hour wait ... we finally got in with her homeroom teacher and had our 2 minute conference. lol! everything good ... no problems, no concerns, no issues. we met with 5 of her teachers ... and i kid you not ... every single one of them said they wished that they could clone her. she is getting honor roll ... a 4.0 GPA ... and is also scheduled to receive 5 additional awards. top performance in 5 of her classes. today i filled up the gas tank in the van for only $43 ... i couldn't even believe that. just a few months ago, it was taking me almost $100 to fill that thing. i've actually been waiting ... because the price keeps going down. but today i decided we couldn't wait must longer ... so we gave in at $1.89 a gallon. i'm headed to utah in less than 2 weeks! it's going to be here before i know it ... and i know i'm not going to be ready. lol! both deneen and i are so excited to go. we have some online friends that we're also anxious to meet up with ... will be nice to see them in real life! although i hear it's cold out there ... which i'm not excited about. i don't do cold weather. i don't even own warm clothes. i don't even have a warm jacket ... just sweater hoodies. i will need to be wisked from one place to another ... and not left outside for too long. lol! been working on a bunch of projects. i have about 4 or 5 layouts that are so close to being done ... and yet i can't seem to finish them off. i have my "things we do" album that was coming along so nicely ... and i pushed it to the side for a bit and havn't gone back. i have cards all over the place that just need one or two more things to be called done ... and i just can't get them done. i have a fun little album started for my brother ... and am not even sure where it landed. too many different things started ... and i'm having a hard time focusing on getting any one of them done. i'm teaching a little album class here for some local friends. just at my house. it's been 2 years since i stopped teaching ... and i get asked a lot to start up again. it's just that we don't have a lss here anymore. but i've been tossing ideas around for a while now ... trying to come up with a plan. maybe even have extra kits that i can offer to those of you reading my blog if you're interested ... for those that aren't within driving distance of me. lol! i'm working so hard to catch up on my tv shows. i got behind for a week or two ... and i have been having a hard time catching up since then. i only watch tv late at night ... after the girls go to bed. and even though i can fit in 2-3 shows a night ... i'm still recording 2-3 shows a night. so i just never seem to get ahead. but i'm trying. kills me that i still have about 18 hours of shows on my DVR to watch. i made the decision to stop "twittering" yesterday. it was fun ... and i liked twittering about totally random things as they happened. and i liked the challenge of saying what i had to say ... in 140 characters or less. but it was just one more thing to keep track of ... and try and remember to do. and in some way ... i think it took away from things i could blog about. i have gotten away at doing these "random" posts that i've always been so good at. so if you're looking for me to twitter ... stop looking. just for fun the other day ... i tried to make a digital christmas card with the last pictures i took of haley. and as much as i'm NOT a digital scrapper ... it was fun to try and learn something new. it frustrated me beyond belief ... and tested my patience. but i was also researching and reading books here ... trying to get the info i needed to do what i wanted to do. in the end ... the card wasn't exactly what i had invisioned in my head. but it was also seriously cute. i had one printed at costco today just to see how it turned out ... and i really liked it. i'm totally using this idea for our cards this year. you see that new profile picture i added to my blog? with the long, super cute hair? well ... my hair doesn't usually look that good. and when it does look that good ... it takes a lot of time. so i got it cut yesterday ... and i sort of regret it. it's too short. i do that all the time when i'm getting my hair cut ... i tell them to go a little shorter AFTER they cut .. forgetting that the curls will shrink up after drying. although i know it'll be easier in the long run ... and so much less touching up with the curling iron every day. but it's still short. have to keep telling myself that it didn't always look that good. lol! a few weeks ago, i bought some skinny jeans. while i DO NOT think i can pull off skinny jeans on their own ... tucked into some boots, i think they're cute. i got some nice, comfy boots ... and the jeans tuck in so nicely. as much as i love my boot cut jeans ... i always had to wear a bigger, chunky boot with a good sized heel. because the jeans were always a few inches too long for me. and i hate walking in my heeled boots all the time ... they're not comfy and make my feet hurt. so it's a nice change having some cozy, furry boots on my feet! i guess that's enough randomness for one post. i guess that's what i get for not doing this enough lately. there is so much to say ... so much to catch up on. lol! hopefully, i'll be back in a day or two with some layouts ... i'm determined to finish some of these up. my camera saw the outside world today . . .
i havn't had my camera out for ages now. sure, it's been used around the house ... lots in fact. but i havn't taken my camera outside for photos in about 2 months now. and these happened so randomly. i was putting up the girls hair for soccer practice (yes, you read right ... indoor soccer now) ... and then haley got a hold of the spray bottle and got her hair soaking wet. then she started spraying water all over the house. so i distracted her by pulling her hair up in a little pony. then i realized how cute it looked up and out of her face. and the girls had just left for soccer ... and nikolas was taking his second nap. so i took haley in the backyard for a few pictures. she seriously gave me about 45 seconds of her time ... and then decided she was done with me. she was too busy playing in the playhouse ... and peeking at the dog next door through the fence ... and going down the slide. but i kept following her around ... and managed to sneak in a few more pics here and there. we were out there all of about 15 minutes before her mom came to pick her up. but i guess that's all i really needed! i love this next one ... even if she was standing up when i snapped the picture! she just didn't want to sit still ... and was so anxious to be done. and she thought it was the funniest thing. i kept saying "haley, can't i have one more picture?" ... and she would very matter of factly tell me "no". can you tell who is the boss around here?!?! lol! the coloring is off some ... but i love her smile! giveaway winners . . .
i was going to print these out and cut them up and stick them in a bowl and have my girls draw 2 names ... but then so many of you left comments ... and that seemed like a lot of work. and i'm sure you all know how lazy i can be when it comes to stuff like that. lol! so this was done the very reliable, scientific way ... scrolling through all the comments until the girls told me to stop. and you can trust me ... i'm an honest person! Count me in. I love that card and would love to make and send those this year. I love the swiss dot embossing and you are totally tempting me with it on a daily basis girl! Glad you had a fun time! congrats girls ... get me your addresses as soon as you can ... because i happen to be heading to the post office tomorrow! and thanks everyone for your comments ... i read every single one of them! make and take share and giveaway . . .
thought i would share the card i designed for the make and take event this weekend at picture me perfect. it was a fun and crazy night. 9 make and take tables ... and 3 hours to get them done. i have to admit i was a little nervous ... as this was really my first time doing anything teaching-related in about 2 years. but it all went well ... and everyone was so welcoming. very fast paced and busy ... but that's how i like things! i created this card using goodies from the MM falala collection. my favorite dot pattern papers, fun glittery foam trees, yummy ribbons, acrylic stamps ... and of course, the tag maker! and i snuck in some swiss dot embossing on those punched circles ... and some cardboard, string, and staples. this card was actually inspired by another card i made a few weeks ago ... it was an easter card using scraps from a challenge layout i did. i loved how it had turned out ... so i used the same design for this christmas card. since then ... the easter card has been picked up for publication. so if you see an easter version of this next year (slightly different though) ... you'll know which one came first! lol! of course, i didn't take my camera. so i'll have to see if i can track any photos down. it was so nice to meet some of the ladies i've met through my blog and have passed emails around for a while now. some day i'll have to go back and hang out long enough to chat with them! like suzy kept telling me .... "laura, you're not THAT far from us". i know ... it's only an hour. lol! and now for the giveaway. i came back with extras of everything. so i assembled 2 bags with everything you need to make 5 of these cards. instead of it being a "make and take" ... it'll be a "get it and make it". let me say up front .. i don't have instructions typed up ... so you'll just have to wing it! ok ... you know me, right? if you need help, all you'd have to do is ask ... i'm pretty helpful i think! anyways. just leave me a comment if interested ... and i'll draw 2 names randomly monday night! good luck! comments for this giveaway are now closed ... good luck! challenge #1 with mary and lovely . 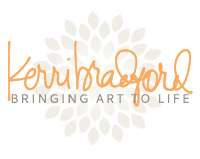 . .
"do you ever walk into your studio/scrap space and feel totally overwhelmed by the endless options? That would be me, staring at the piles of ribbon and mounds of patterned paper while my creative time trickles away". i took this quote directly from mary's blog ... i'm sure she won't mind. lol! but it so perfectly describes how i feel. i really have a hard time scrapping unless i have some direction. 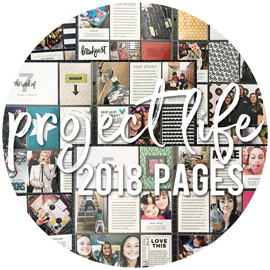 not only will challenges get us scrapbooking, it will also help us scrap faster (in my case, this would be a small miracle) by having a starting point. a suggestion from a blog reader and fellow scrapbooker, Lisamarie, has inspired my good friend mary and me to attempt challenges on a more regular basis. every two weeks is the plan. we decided on the following things for our first official challenge. first we have lovely cutler joining us, and you can see her layout HERE. and mary's layout ... you can read more about it HERE. i just love ki memories papers ... so that wasn't a tough one for me. lol! the yellow dotted one ... that's one of my most favorite papers. love that pattern in any color they make. the pink paper at the bottom was actually the reverse side of the brown dot paper. and once again ... i started this layout without any pictures in mind. then i happened to find this collage of photos that i had done a while back. i had some old photos ... and just cropped and trimmed them until they fit nicely together and then adhered them all onto a sheet of white cardstock. it was on another layout ... but i decided to tear it off and use it for this challenge instead. so the entire photo part was easy ... just adhered that entire thing to my page and built around it. i have a pretty good assortment of letter stickers from over the years ... and i admit that i don't use them all that often. i use chipboard letter stickers ... and felt letter stickers .. and puffy letter stickers. but not so much the regular letter stickers. so this challenge got me digging around in them a bit. i found these old ones from bo-bunny ... and thought they were sort of fun and funky. i was going to use all pink ... but i didn't like the second "s" that was on there. so i decided to add a few blue stickers in ... so that i could use the same "s". yes, i overly obsess over my title letters ... do it all the time! and for the flowers ... i used a mix of making memories felt and paper flowers ... and some american crafts felt flowers. and then mixed in a variety of brads ... fabric, velvet, polkadot, and shimmer. i took the easy way out on this as far as journaling. these were just some random photos that i had from years ago of alyssa ... so i didn't have anything in particular to say. so a simple definition sticker and i was done. plus, i hadn't left that much room for journaling anyways. lol! so we're totally inviting you all to join us in these challenges! we really hope some of you can get a chance to play along ... and we would love to see what you come up with if you do. feel free to either comment on one of our blogs (or both, we both enjoy hearing from you), linking us to your layout ... or you can send us an email showing us your layout. every other wednesday . . .
every other wednesday you will find the kids doing this. watching the lawn dudes out the window. for the record ... they're not like real landscapers. just lawn dudes who mow, edge, and blow everything away. that's about it. and the only reason we have them ... is that joe's allergies are SOOOO bad that he just can't do it. within 5 minutes of doing anything grass/dirt/plants-related ... he's down for the count and puffing off his inhalers. lol! they used to just sit on the couch ... you know, the plaid one. lol! but now they've gotten a little braver ... and stand on the dollhouse to watch out the window. although they did totally freak today ... when the dude came with the blower up on the porch ... directly in front of this window. they didn't even see it coming ... because they were watching the other dude out front. it was super funny to see them scramble and tumble off that dollhouse. lol! haley would not move away from the plaid couch. she's mocking me ... i'm sure of it. is "mocking" the right word .. i'm not sure. and i keep noticing that every time i actually take my camera out for some pictures ... she's wearing that same striped shirt. lol! this boy is so adorable ... i can't stop loving on him. and yesterday i got him to say "thank you laura" ... it was the most cutest thing ever. so now i keep doing things for him more than usual ... and then asking him to say "thank you" ... just because i love to hear it! and i know some of you have asked about my camera settings and how i get my pictures so bright indoors. and i have answered you all ... but figured maybe i should actually post my answer here ... in case anyone else is curious. seriously ... it's the external flash. i cannot take a photo in the house without it ... my house has no good natural light at all. and i think i've mentioned before that i know nothing about aperature and shutter speeds ... it's on my list of things i need to learn. so i just put my camera on the "P" mode, ISO at 400, white balance on auto, up my exposure by 1.5 stops ... and then turn the external flash on and bounce it off the ceiling or the wall until i get the look i want. i do shoot in RAW though ... so that allows me to correct things that are off later. it's cheating a little ... but works for me until i learn all the proper stuff. lol! alyssa's 12th birthday party . . .
i finally got around to editing the few pictures i had from alyssa's 12th birthday party ... the party she had about 6 weeks ago. that's not bad actually. it took me a full year to edit the photos from her 10th birthday party. lol! and these pictures took some work ... if only you had seen what i started with. let's just say ... i cannot do indoor photos at night. cannot! the birthday girl! doesn't she look so happy! that is a genuine, happy smile ... love it! she decided she wanted a sleepover party with some of her closest friends. she had some friends from school, some from church, and some from soccer. a few couldn't make it. but we ended up with 7 that could ... and it was a great mix of girls. they spend most of the night playing rock band, and having dance-offs. we cleared out the little kids table in the playroom ... which gave them tons of floor space to dance and sing. they split into teams ... and practiced their songs over and over and over. i was upstairs during most of this part ... and it was really bugging me to hear the SAME song over and over and over. lol! i had that song in my head for days after. and a quick disclaimer ... i hate that plaid couch. no offense if you have that same couch. lol! it's actually very comfortable ... i'm just not big on the plaid anymore. but it fits in the playroom ... so it stays for now. yeah ... it was a crazy night with these girls! can you tell they were a fun and noisy bunch?!?! lol! after dinner of pizza and chips ... alyssa opened her presents. some giftcards, a purse and handmade scarf, makeup, backpack and jewelry, blanket, clothes, and more. and i was good about taking a picture of alyssa with each girl ... even though a few of them didn't want to stop what they were doing. lol! i'm not positive about posting a few since i don't know them as well ... but these i'm sure are fine. alyssa and natalie ... bestest of soccer buds. they were on the same team this year ... and are so cute together. such a sweet girl ... and i love that she doesn't seem in a rush to grow up. they're a good match. alyssa and liz ... bestest school friends. they have been best friends for years and years and have so much fun together. although liz is a little giggley ... she gets going and you can't stop her. i think at one point i told her she was annoying me. lol! but she knows i like her! alyssa and holly ... and alyssa and heather. they are my good friend deneen's daughters (2 of them, she has 4). and alyssa just loves them. they are both the nicest girls ... and so kind and helpful. although i'm alway secretly afraid that i'm going to mix them up and call them the wrong name. i'm sure twins are used to that ... but i'd feel so bad if i did. lol! alyssa and sarah ... the bestest of sisters. even though you can tell in alyssa's smile that she's not happy about being that close to her little sister. lol! it's just the age ... she has to pretend now that certain things bug her. but we all know how much she loves her! you see the rock band going on behind her? yeah, THAT was noisy! we don't actually own any gaming systems ... but alyssa's dad is great about bringing his over and setting it up for them to use. a few of the girls had never played ... but it didn't take long until they were addicted. and a few of the girls were way too good (LIZ!!!) ... might mean they're spending a little too much time playing. lol! and how stinkin cute is her shirt?!?! cake time. i baked her cake ... and this time i made sure to make what she wanted and not what i wanted. lol! i guess last year i messed that up. lol! she wanted a white cake with white frosting. but the white cake wasn't on sale ... so we got the funfetti cake mix ... and everyone loved it. once again ... yes, i have issues with taking pictures indoors and at night. lol! i'm usually not one to let the girls stay up super late at parties. but i tried to be a little cooler this time. i let them do what they wanted until 2:00am! yes, they had music and everything blaring until 2:00 in the morning. then i made them start chilling and toning it down ... setting up sleeping bags and winding down. within about half an hour ... most of them were zonked out. i had a few that were still messing around and talking. so i went into "daycare mom" mode ... and let them have a little talking too. i laid down the law ... and made them go to sleep. i think it was about 3:30am before the last one fell asleep. and then it was my turn. only problem was i couldn't sleep. i think i was up until about 6:30am. i saw the sun rise and heard the newspaper get delivered. lol! they were all awake by a little after 9:00am ... so i might have gotten about 2 hours sleep that night. but alyssa had the best time ... and that's all that matters! crazy dress-up game . . .
alyssa and sarah both had a friend over last night for a sleepover. since they didn't have school today ... i figured that would make up for the fact that we can't go do anything too exciting on their days off. so alyssa asked natalie ... her best friend from soccer. and sarah asked amanda ... her best friend ever. they stayed up way too late (11:30 ... guess it could have been worse) ... and had way too much fun. amanda had to leave this morning after breakfast ... and then the girls were trying to think of something to do. and they came up with this dress-up game. they took out this huge amount of clothes and put them in the laundry baskets. then one person would put on a bathing suit .. to make the dress-up part easier. then another person would get blindfolded ... and that person would randomly pull out items of clothing (not looking) and give it to the third person ... who would then dress the first person. make sense?!?! it was pretty funny ... and they came up with some good outfits. and didn't want to leave haley out ... so she got to dress-up too. now to see how all those clothes get back to where they came from! as soon as haley went down for a nap ... the girls went on to the next fun thing. we now have about 60 stuffed animals all over the family room ... and activities planned for all of them. we'll see how this turns out! fiskars guest designer . . .
i was asked a while ago to be one of the guest designers for fiskars for november. they were kind enough to send me lots of goodies to play with. i didn't even have to think twice ... i knew i wanted to use the heidi grace reagan's closet collection. 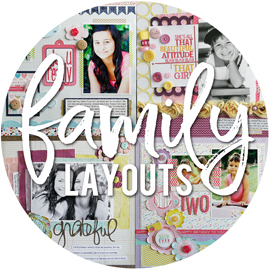 you can check it out HERE on the fiskars site for more information about the layout. huge thanks to fiskars for the opportunity! one of sarah's goals . . .
just a note: sarah is the one in red (i know, maroon and red in the same game ... like there aren't plenty of colors to choose from so that it's not so confusing?!?!) ... with the white long sleeve shirt under her jersey ... and the ponytail flying around. and i'm new to youtube ... but if you get to youtube somehow, there is a high quality version that looks better. lol! i know ... i'm so helpful! just had to share this video from sarah's soccer game last weekend. alyssa's dad had just turned his new camera on ... and managed to catch sarah scoring one of her goals. makes me wish i had a video camera ... so fun to watch them in action. although it did take me over two hours tonight to figure out how to get this video on youtube ... and how to get it here on the blog. so maybe i don't want video's to mess with. lol! and just a little "sarah quote" from tonight. "kendall was saying how she hadn't scored any goals this season. and i said that i had scored like 30 goals". lol! so funny ... and maybe even true. she has done very well on goals this year. a lot of games with hat-tricks (3 goals in one game). and in her two games today she had 4 goals. so proud of her. a few quick shares . . .
i had such big plans to catch up my blogging this week. and then things just happened everyday to change that ... and to give me entirely different things to blog about. lol! so needless to say ... i'm still trying to get back on track. in the meantime ... here's a few older things. i did this layout a few weekends ago. it was one of those moments ... where i literally just grabbed some random photos and some random products ... and tossed them all together. nothing over the top ... just a normal layout about normal pictures of my girls doing normal stuff. and while in my cleaning binge a few weekends ago ... i came across these cards. actually, i came across a bag with all the makings of these cards inside. i had done a layout months ago (that i can't link you to because it's out for publication) .. using all these products. these were my scraps ... and i had enough inside for 4 cards. but i had never actually made the cards. laura, laura ... why does this always happen?!?! lol! kind of nice to complete all 4 cards ... although totally different now than what my original plan was. and now that bag is gone ... and i don't have to find it randomly tossed in a basket somewhere. that's nice! just wanted to say "thanks" for all the comments on the last post! i think both deneen and i are still in shock! it's going to be so much fun though! i hope to check in this weekend ... and post some photos. in between soccer games that is. it's tournament weekend ... and then the season is over. kind of nice ... looking forward to the break for a bit. but first ... we have at least 6 games to get through in the next two days. and if the girls teams do good ... they could possible have a 4th game each. so if you need me ... you can find me on the field! lol! and check out this post HERE. and now check out THIS ... and make sure to listen to the phone call! that is my good friend deneen ... and i'm the friend that she's talking about. so excited for her ... and for me ... since we did make a deal that we'd take each other if either of us won!!! our girl amanda . . .
we love our girl amanda. she's been around for over 6 years now ... hanging out with us every day. her and sarah are permantly joined together ... the best of friends. but, she's older now ... and doesn't need me quite as much as she did when she was younger. plus, her grandparents moved in down the street ... so they want to enjoy her a bit now. which means she is moving on from me. but just as her daycare mom. she'll still be a huge part of our lives ... and will be around all the time. so it's not a bad thing. this entire layout started with those flower stickers. they are left over from a project that i just finished last week .. something i can't show you yet. but i had peeled some of these flower stickers off and then changed my mind ... and they weren't staying on the sheet anymore. so i had to use them, right? lol! i do tend to scrapbook sort of backwards a lot of the time. i had the flowers and embellishments all done ... and the papers picked out. and THEN i started looking for a photo that would work. that's just how i roll sometimes. and i'm somewhat concerned that this layout doesn't have a title ... but whatever. for the flower centers, i just backed the clear buttons with a small circle of the brown dot paper ... and then threaded them onto the page. and a matching card with my scraps. trying to get back into the whole "make a layout, make a card" thing. not sure how i stopped doing that recently. my whole world stopped tonight . . .
you know how you go to a concert ... and the entire world stops while you're inside? the excitement, the energy, the suspense of finally seeing what you've been waiting forever to see? it's larger than life ... like you are in the show. and it's everything you thought it would be ... and more. and you take in every single minute of it ... hoping it will last forever. and when it comes to an end ... you're sad. and all you want is to see it again ... and again. when you leave ... you replay it over and over in your head ... wanting to remember every minute of it. and yet at the same time ... it's all a blur ... because it was all so good that it sort of meshed all together into one great moment. and you try everything to pick your favorite part ... but they're all your favorite. you know this feeling? i've had this feeling many times after many great concerts. but this is the first time it's been after a movie! tonight we finally went to see "high school musical 3"!!! you know i love "high school musical" movies ... i watch them more than my girls do. and i could not wait for this to come out. but we were busy ... and had to wait. let me say ... it was totally worth the wait! such a great movie. awesome family movie ... with a great message. just a feel good movie. just ask sasha ... she said the exact same thing in her last blog post. lol! i loved all the music and dancing ... and the choreography was amazing. and like sasha ... i teared up a few times. twice to be exact. and i won't deny it. lol! and here's the even better part. we saw this movie totally free! you read that right. we have a new theater opening here in town ... and for an entire week they are showing screenings of the movies for free. to anyone and everyone. we got there and the line was super long ... i'd say a good two hundred people just in line. so we got in line. but then some of the worker dudes were coming around asking if people were there to see certain movies. i waited about 5 minutes ... and a dude came by asking for HSM3. just like that ... i had 7 FREE tickets in my hand and we went straight in. awesome. then we walked right up to the counter ... and got 7 FREE small popcorns ... and 7 FREE small drinks. even awesomer. since this is all free to anyone and everyone ... it was a very packed place. so we did end up in the 3rd row. lol! not easy on the neck. but when troy bolton's (zac efron) face popped on that screen the very first second, huge as life ... it was so cool. so now ... after all this awesomeness ... and this amazing movie ... i'm trying to come back down to reality. lol! and it totally threw off my blogging plans for tonight. i had something else entirely to blog about. but the movie is the only thing on my mind right now. lol! so tomorrow ... new layout and card ... promise! this girl turned 2 . . .
this past saturday ... haley celebrated her second birthday! i seriously can't believe she's 2 years old already. they grow so fast. i was looking through some photos tonight ... and the girls kept coming over and saying "look what haley used to look like" ... or "i don't remember her looking that little". so i thought i'd put some together from the past year and a half that we've been lucky enough to spend our days with her. and i'm not sure what happened over the weekend. but suddenly, this girl is into everything. climbing on tables and up the barstools. helping herself to my drinks after climbing up to the island. rifling through my purse ... and taking all my spare change and going through my credit cards. digging around in drawers with all my papers and junk. taking the girls papers and notebooks that she found up on the table. going into the bedroom and the closet. going into the pantry and bringing out her own food. all these things are new ... she's never done them before. and she's very sneaky about it. and yet she gets so caught up in what she's doing ... that i can literally walk up behind her and scare the daylights out of her when she gets caught. lol! it was a crazy day! that was actually fun pulling all those photos together ... i should do that with the girls too. and trust me ... i have plenty of photos to share. i was in total photo mode today. i'm almost completely caught up ... editing, uploading, ordering. i have alyssa's birthday photos from september, disneyland photos from april, cabin photos from august. i just need to finish going through the pics from alyssa's trip to hawaii ... from august 2007. lol! and i'm working on a complete "places we go" album that i'm hoping to share later this week ... with tons of vacation photos. really cool concept to "get them done"! i feel like i have tons of other stuff to blog about too. some new layouts ... some cards. somehow, i got off track on my blogging ... and i'm trying to catch myself up. so that's my goal this week!